What are the real risks posed by a volcanic eruption near a city what is fact and what is myth? How have volcanic eruptions affected cities in the past, and how can we learn from these events? Why do communities continue to develop in such locations, despite the obvious threat? 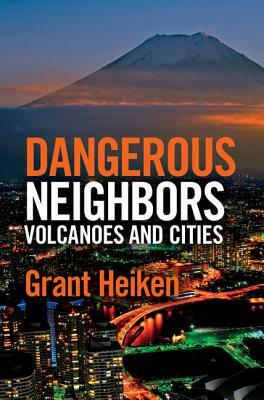 In this fascinating book, Grant Heiken explores global examples of cities at risk from volcanoes, from Italy, the US, Mexico, Ecuador, The Philippines, Japan and New Zealand, providing historical and contemporary eruption case studies to illustrate volcanic hazards, and cities' efforts to respond to them, both good and poor. He shows that truly successful volcanic hazard mitigation cannot be accomplished without collaboration between experts in geology and natural hazards, public health, medicine, city and infrastructure planning, and civil protection. This is a topical and engaging read for anyone interested in the history and future activity of these dangerous neighbors.